A couple of weeks ago I looked at the bible Brenden, my eldest, age 14, was carrying to church. I think it was a gift from the church when he was, if I recall, going into 1st Grade. He's in 8th grade now. So the bible was looking a little juvenile, for a kid in elementary school. Not for a kid starting High School in less than a year. So I told Brenden I'd get him a new bible, something he could grow into and that would support his early explorations into the text. 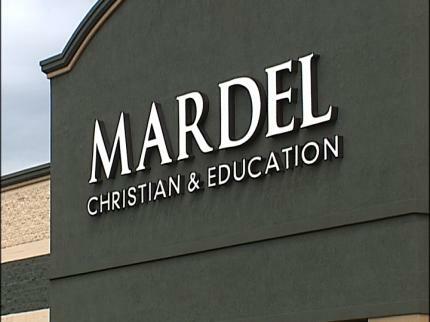 Thus we found ourselves, one Saturday, heading for Mardel, our local Christian bookstore. This may surprise you, but I love Christian retail stores. I really do! I find Christian bookstores absolutely fascinating. All around you is Christian clothing, Christian jewelry, Christian home decor, Christian music, Christian books. You can even buy a shofar if you like to blow a ram's horn on Sunday morning! And I'm not just window shopping. I got my "Love Your Enemies" t-shirt at this Mardel. And I actually bought a book by John Howard Yoder in this store. (My thought upon seeing the book, if I recall, was something like "What the hell is that doing in here?"). That said, this is also the Mardel that had banned Derek Webb's Mockingbird album. But back to our story, my mission to help Brenden pick out a bible. The bibles are on the back wall of the store. And above each shelf of bibles is prominently displayed the version to be found underneath. King James Version (Happy 400th Birthday!). New King James Version. New International Version. New Living Translation. English Standard Version. Contemporary English Version. New American Standard. New Revised Standard. The Message. Underneath each version where a host of options, a bible in that particular version for all sorts of things. There were Metal Bibles, Waterproof Bibles, Camouflage Bibles and Chunky Bibles. There were bibles for mothers, fathers, men, women, businessmen, hunters and soldiers. And, of course, lots and lots of bibles for "teens." Initially, we went two different directions. First, I pulled a few study bibles I thought were good. I've gotten good use from the NIV, NLT, and NRSV study bibles I have. So I had Brenden look at these as I wanted him to have something that would help him make sense of this sprawling and confusing collection of books known as "the Bible." We also pulled a collection of "teen bibles" aimed at Brenden's demographic. Personally, I didn't like the look or approach of these bibles but, hey, it wasn't going to be my choice. It was going to be Brenden's call and he was interested in looking at them. So we collected a stack. Surrounded by stacks of bibles I sat Brenden on a bench and said, "Look through all these. Take your time. I'm going to look at the shofars and see if I can get the staff to blow one for me. When I come back, after the walls of Jericho fall, you can tell me what you think." When I returned from shofar shopping Brenden had ruled out the big study bibles. They were a bit too much. But Brenden was also struggling with the the teen bibles. I said, "You don't look too excited about these bibles either." He wasn't. He kept flipping through the pages and finally asked me, "Why is there all this stuff in the middle of the page?" If you've not flipped through one, teen bibles have a magazine sort of feel. Every page has pictures of cool kids making cool observations about how cool Jesus is. There are little surveys in the bible. Little checklists. Little bits of advice about teen issues. And around it all, hidden in the background, is the biblical text. Brenden asked, "Why can't you just read the bible without this stuff getting in the way?" I responded, "Well Brenden, here's the deal. The people who made this bible don't think kids will, well, actually read the bible. So they put all this other stuff in there hoping that you'll at least read that. It's a bible if you aren't interested in reading the bible." So we were stuck. Brenden seemed to be "in between," developmentally speaking. Too young for the hefty study bibles I liked and too wise, spiritually speaking, to be comfortable with the hyper, radical, ADHD teen bibles with words like "awesome" and "revolution" blasting off every kinetic page. So we went back to the shelves and, after bit of searching, found something really good. Let me recommend the new NIV Student Bible for those of you shopping for a good bible for a teen. Here's what I like about this bible. First, it's mainly a bible. About 90% of every page is just the text. Second, the other 10% of the page (along with all the other study helps) is devoted to illuminating the story in the text rather than trying to make the bible "relevant," "radical," and "cool." (Note: Philip Yancey was involved in writing the study notes.) And, finally, the aesthetics (font, page layout, design) of the bible are very attractive and ageless. Though the bible is aimed at teens and college students, it's a bible that you could hand anyone just starting out with the bible. Congratulations on what was obviously a fulfilling father-son experience. How I hope I have the same confidence in myself to allow my daughter to pick out her own Bible when she reaches that age. Don't let him toss out that old Bible! I still have my first one. A RSV from when I was nine. My name's engraved on it and everything. Some of the pages are falling out and the cover is chapped like my lips in winter, but I believe I'll have this book on my bookshelf till I'm dead. I recall having the same problem searching for a Bible years later, myself. Just the text, ma'am. Just the text. The NRSV version of that Student Study Bible was handed to me by my pastor when I graduated high school. I had the red faux leather one that was given us in third grade, but I'd barely opened that once in the preceeding nine years. I took it with me to college and actually read the Bible for the first time. And then again. And then another time. That was 14 years ago. I've got dozens of other bibles, but that one is the one that lives by my bed and is the first thing I read in the morning and the last thing I read at night. I really enjoyed this post. I was in attendance for your discussion of Christian Bookstore art at the Christian Scholars' Conference at Lipscomb and loved it, so I liked the beginning especially. Also, I enjoyed your descriptions of the different types of bibles and the point that publishers tend to give more attention to the additional information than the actual biblical text. Mardel's kind of creeps me out. Got my son's Bible, a back-pack friendly thin NLT, next door at Hastings when he took Bible as a public school class it's first year offered at Wylie. I don't guess Mardel's carries Alisa Harris' new book "Raised Right" subtitled "How I Untangled My Faith From Politics." She seems to have a compelling story. 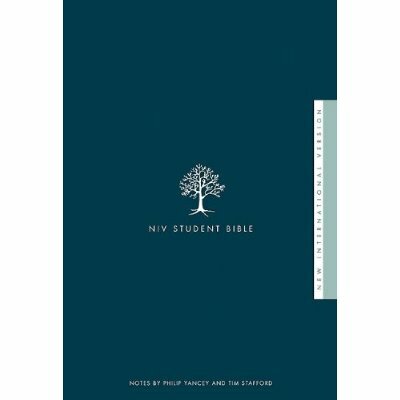 The NIV student bible was my first bible as well. Given to me by my then christian boyfriend, who is now my atheist husband. Back when I was a student, the manager of my local Christian bookshop used to be a little on the OCD side and use a dictaphone to record every purchase. He was also slightly deaf but didn't realise. If you hung around for a while, you'd hear utterances like: "Christians with sexual problems - Hodder & Stoughton - £7.99; When Christian couples argue - Kingsway - £5.99" delivered in a loud, confidential whisper. This was usually followed a few seconds later by the chink of the cash register and the tinkle of the door closing on a hurriedly escaping local church pastor or pillar of the community. A few years later, the store, unsurprisingly but sadly, closed down. Happy days. Oh well. You get the point. No matter what you do, somebody will think you're a heretic. You know, I was looking at the ESV Study Bible. Having heard about its Calvinist spin just for fun I flipped through Romans reading the notes. Wow. So much for letting the readers draw their own conclusions. Not only do you get a Bible, but a whole theological system to go along with it. Here's an idea. Let's write our own study bible! Wikipedia style. I can post bits of the bible and all the commenters here can write the study notes! Should only take us, what, 30 years? The lolcat Bible was translated in just two or three years. Wiki-level speeds are phenomenal. Sounds like a good simple choice to me. I had a discussion with two evangelists from Canada once about this issue. The first was looking for his son as well and hit his frustration point over "red letter edition" Bibles. He went on to write a long scathing essay about how Jesus' words were not any more important than is actions, relationships, etc. The second later blew off steam by writing four song verses with the alternate chorus of "They'll know we are Christians by our fish!" Bible Sunday and the 400th anniversary of the KJV this coming Sunday. scope of Christian products alone would induce shock by guilt and confusion. for the Kindle here yet. Thanks for recommending it, Richard.I just ordered it from a vendor on Amazon.co.uk. I still love my TNIV study bible, it will be nice to add the NIV with input from Stafford and Yancey. All the best to Brenden in the next chapter of his bible study! Sounds like you two had a wonderful outing. Amazing! Yoder in a Christian bookstore! I'm glad you rescued him. I'd love for Bible publishers to print them in single column, without verse markers (similar to how the Message was originally produced). I remember my first NIV Study Bible, I still have it though I have to keep it in a Bible cover because it has fallen apart. I came out of the tradition of being able to give "book, chapter, and verse." In my own study, I still prefer a verse by verse translation with verse numbers that are readable without a magnifying glass. But they are hard to find, nearly all are in paragraph form with only a slightly visible verse number.